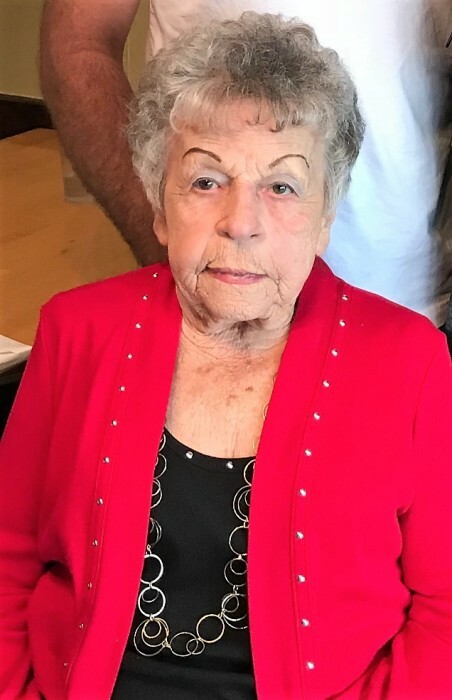 Wilma E. McAtee, 85 passed away Wednesday, November 28, 2018. She was born May 14, 1933 in Hurricane, WV to the late Jesse and Ethel Williams Bird. Wilma worked at Bethesda Hospital for 21 years as a housekeeper and after her retirement she was a caregiver. She was Nazarene by faith. Wilma loved her children, grandchildren and her beloved dachshund, Maggie. Surviving are her daughters: Carolyn (Seth) Paschal, Marsha (Raymond) Eggleton and Kathryn Farus; grandchildren: Robyn (Jimmy) Decker, Anthony (Faith) Eggleton, Kristan (Jason) Cummings, Kimberly (Keith) Wheeler and Adam Farus; great grandchildren: Kylee, Kaelin, Kinley, Tyler, Ashton, Braden, Cailyn and Jemma; special friends: Donna Lewis, Travis Reed, Sue, Dr. Khoury, Arlie Bobb, and a special thanks to Genesis Hospice Morrison House. In addition to her parents she was preceded in death by her husband Bernard McAtee; four brothers and three sisters. Calling hours will be 4 to 6PM Saturday, December 1, at THE SNOUFFER FUNERAL HOME 1150 WEST MILITARY ROAD ZANESVILLE. Funeral services will follow at 6PM with Rev. Dr. Steven Dupler officiating.